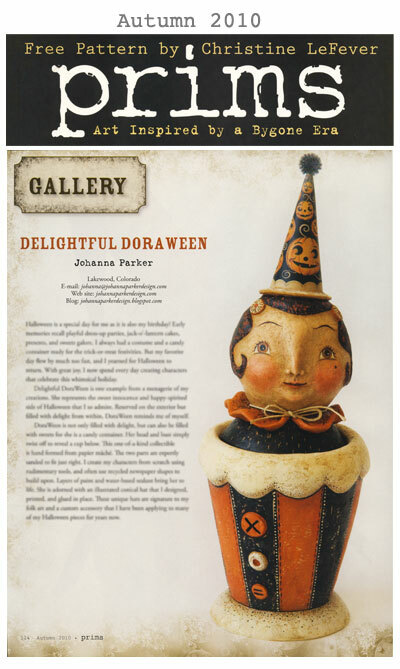 Speaking of being delighted, I was also happy to open up my new copy of the Prims August 2010 issue by Stampinton to see that my "Delightful DoraWeen" made the Gallery! 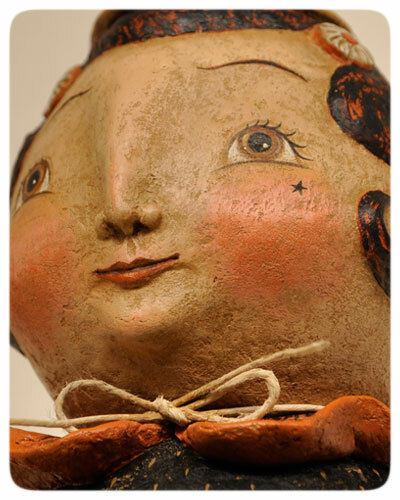 She is a sweet papier mache witch candy container that I created earlier in the year, and as usual, as a very last minute submission! Luckily she made the cut, and now I have to decide if I am willing to sell her or perhaps keep her for myself. I'll make that decision once she safely arrives back home. 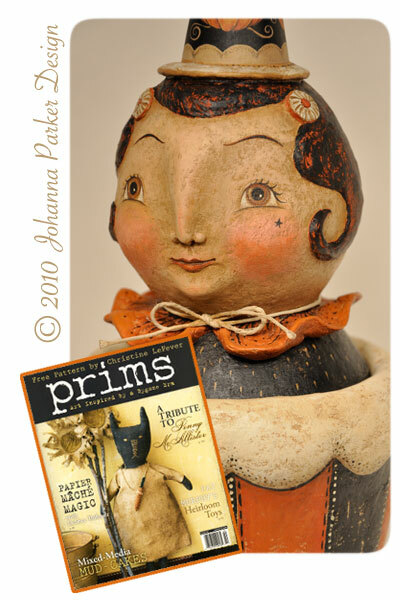 I will include a sneak peek below, but to read more and see all of the various artists' creations, you can order your copy of PRIMS here. * Look for this cover at the book store! There is also a lovely tribute to the talented Penny McAllister who lost her life to leukemia earlier this year. She was a cherished member of PFATT, and the Last Page is dedicated to her and includes an image of our PFATT's Penny Feather Tree, loaded with handmade ornaments in her honor. See you soon, and enjoy the Prims sneak peek as well!